VIXXEN has grown into a brave and friendly filly with a calm, easy-going temperament. 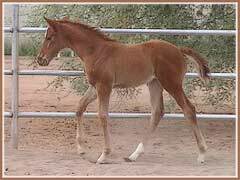 Like most of our young horses, she thrives on attention and loves to be around people. 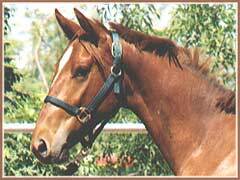 Her full sister VICTREE is an excellent mount and placed third in the 2003 ATA Futurity. Vixxen should be an even better competition horse with her bold and fearless attitude. 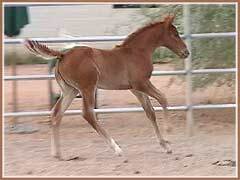 Vixxen is an athletic filly with purposeful movement. 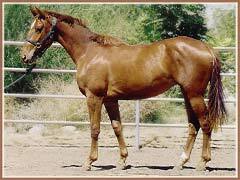 She has an energetic, ground-covering walk, expressive trot and balanced canter. Her movement is naturally round with excellent use of her body. 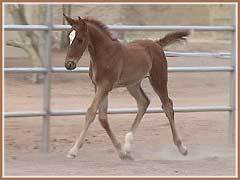 She has been recently started under saddle and is doing quite well. She proving to be as bold and uncomplicated under saddle as she is with ground work. Currently 16.1, expected to mature around 16.2.